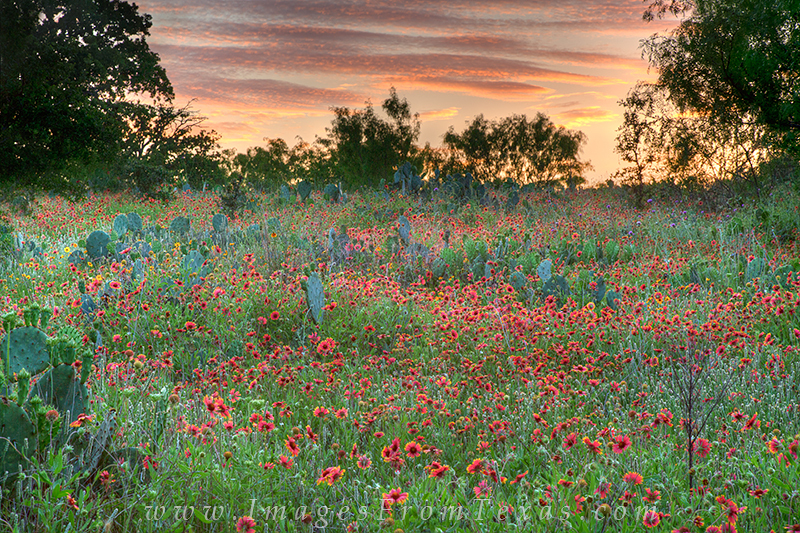 Near Cypress Mill, Texas, I found this little patch of Indian Blankets (also known as firewheels), and returned one evening during sunset. The clouds lit up for only a brief few moments, but the landscape shone in glorious reds, oranges, and purples as evening faded into night. Photo © copyright by Rob Greebon.